A nice enough little barbecue join in tiny Opp, Alabama. 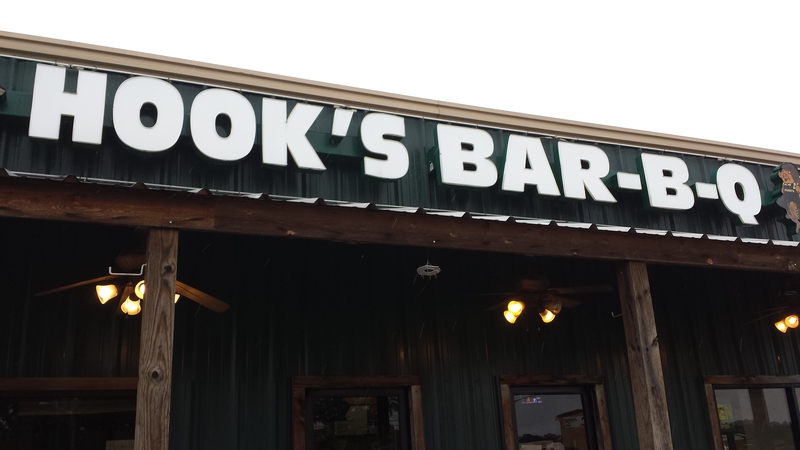 While headed home from our family vacation we pulled off here to grab a bite for lunch. 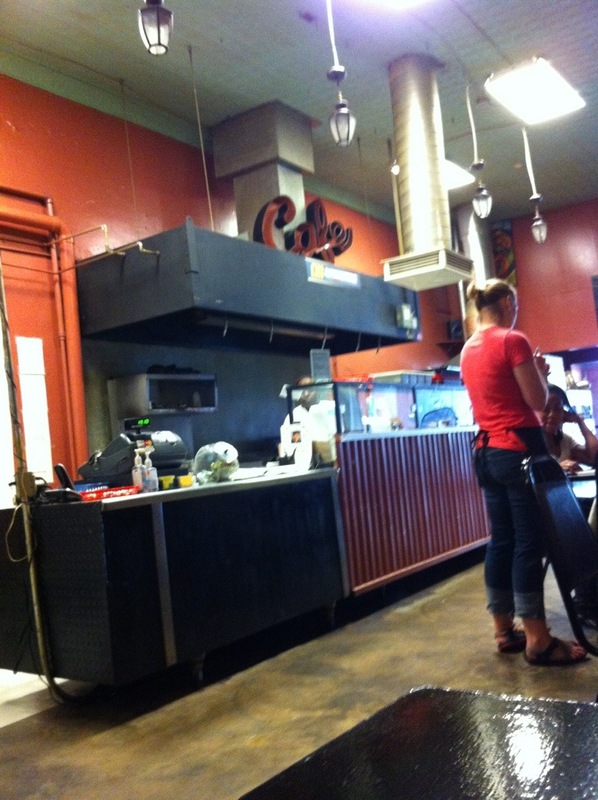 It’s everything you want in a smoke shack. 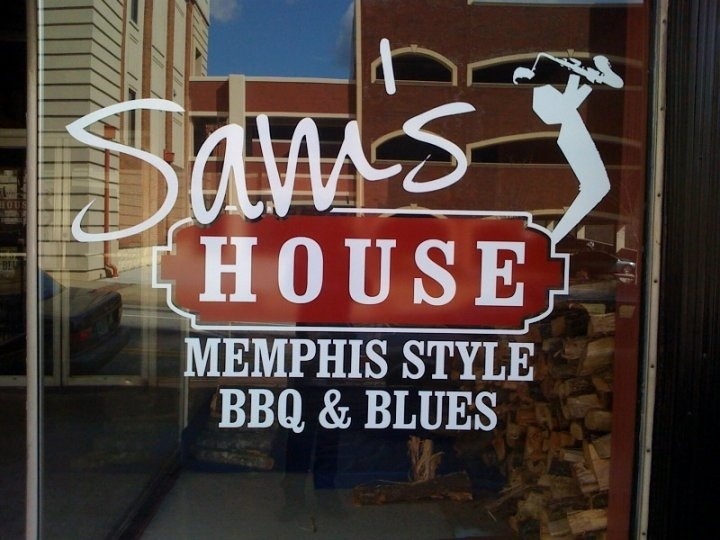 Wooden tables, house made sauces, big portions, decent prices. If I’m ever in the area I’ll stop again. 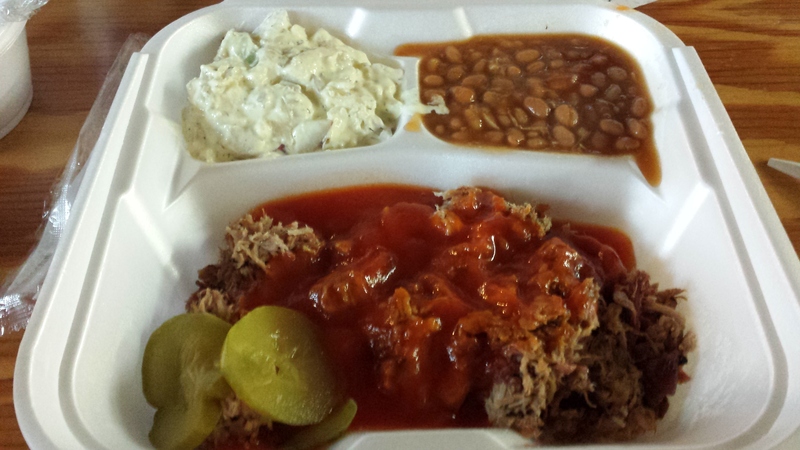 Pulled pork, spicy sauce, beans, potato salad. Shot of the staff and English menu. Love the wooden walls. This summer I got the opportunity to go back to one of my favorite restaurants. 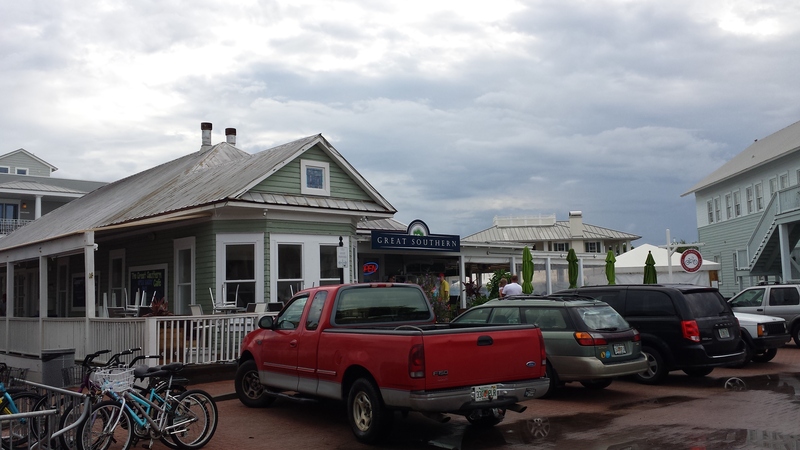 The Great Southern Cafe in Santa Rosa Beach, Florida. This time the trip was during brunch, so my go-to favorite the “Soul Rolls” wasn’t on the menu. 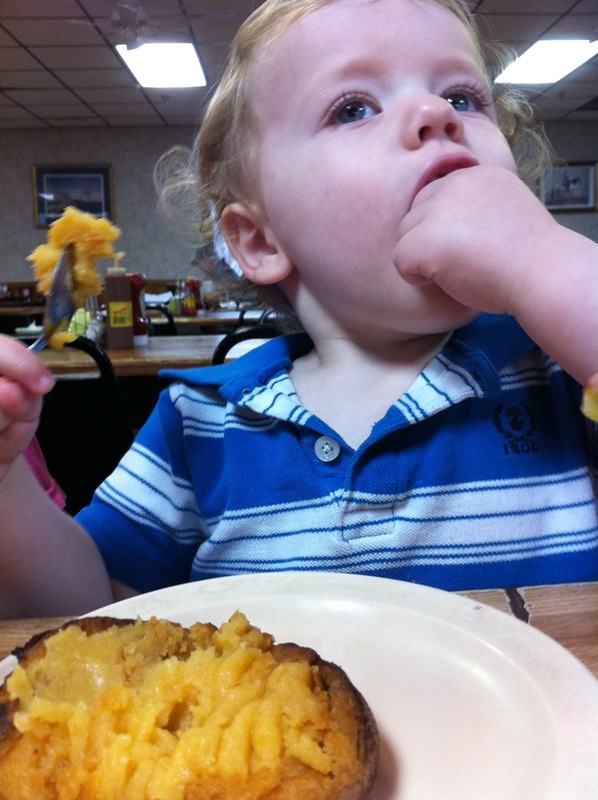 (See my original post about The Great Southern Cafe from 2010) but, I wasn’t deterred. I was just happy to have the opportunity to go back to a place that I thought I would probably never see again. To be quite honest, I had been thinking about it ever since I learned that we’d be going back to the Destin area for a family vacation, months before. This time, the trip was lackluster at best. The waitstaff was mediocre and just seemed confused about everything they were doing (never a good sign.) The food was hit-or-miss. Polling the family I got results that spanned the line from delicious to dreadful. I’m not really sure what went wrong. Maybe only the new folks work Sunday brunches, I don’t know. The overall impression I got was that no one really cared. 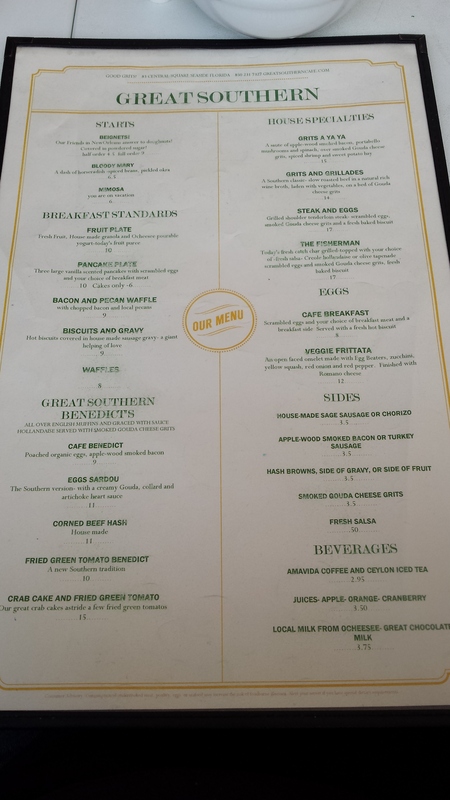 That being said, if I ever get the chance to go back, I’ll probably skip brunch. Inside near the bar. 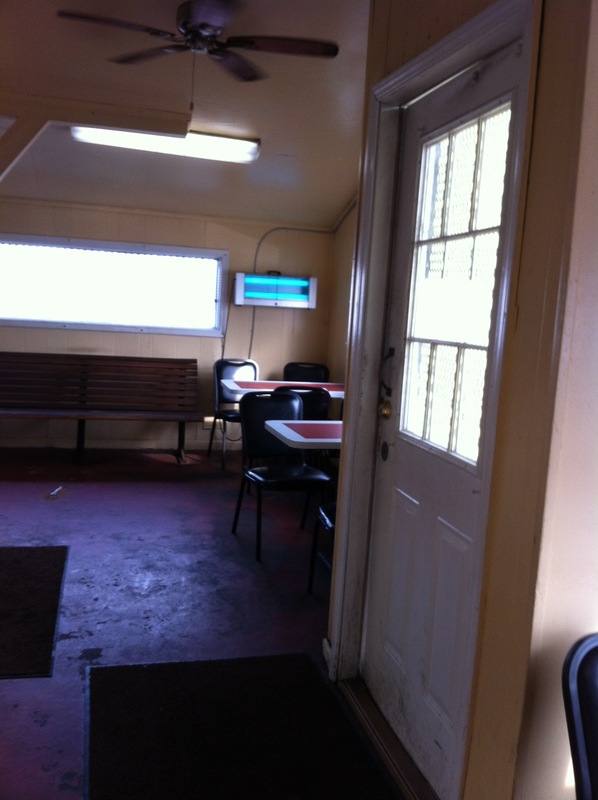 The restaurant is only partially enclosed. 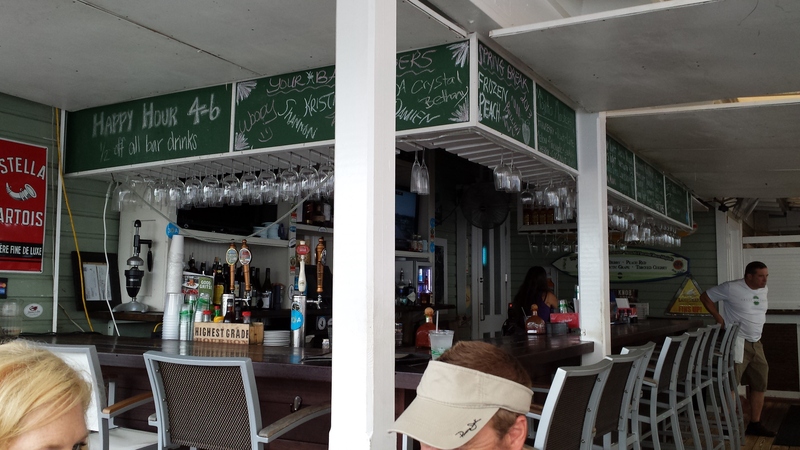 The bar and half of the seating area are on a covered patio. 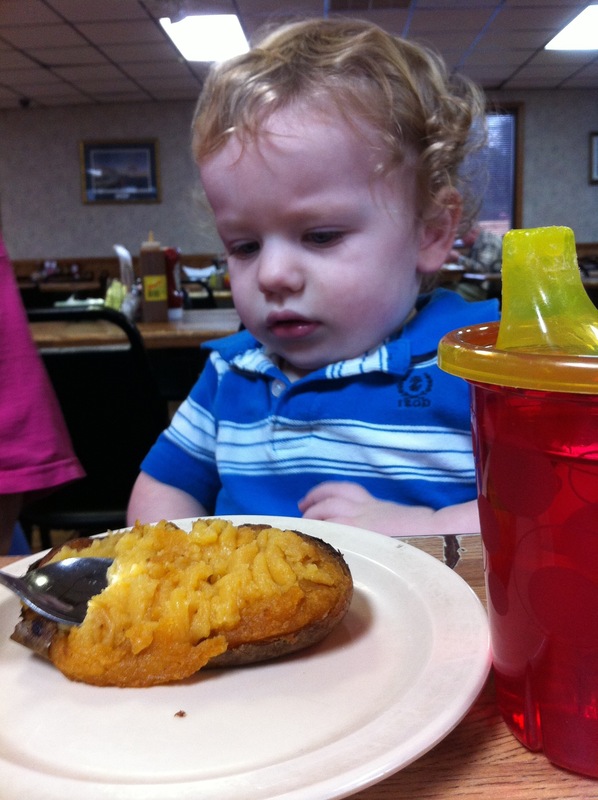 My son was not as excited about the restaurant as the rest of us were. 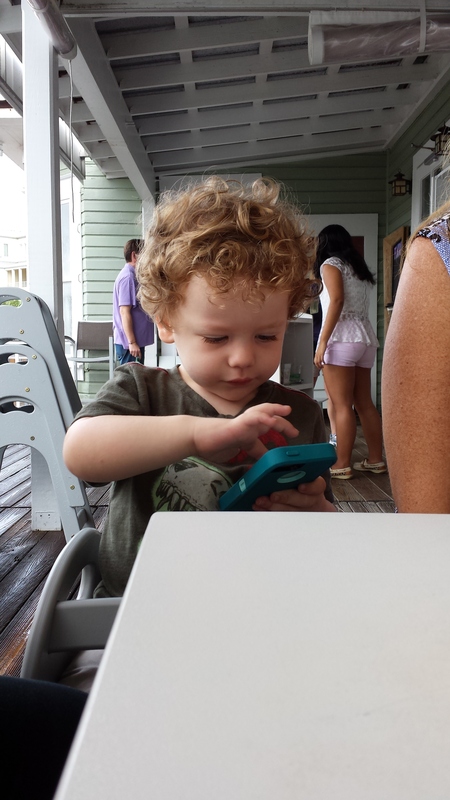 Well, that and he really likes to play educational games on my wife’s phone. Mickey Mouse pancakes for my son. He was delighted. 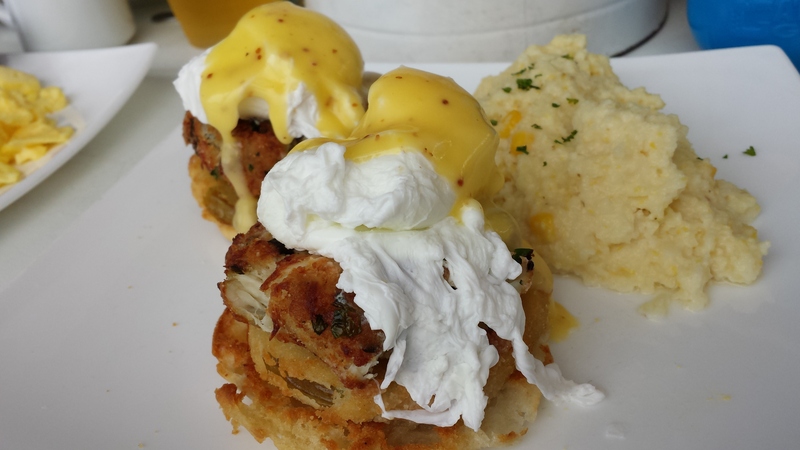 The winner of the day was my wife’s crab cake and fried green tomato benedict. 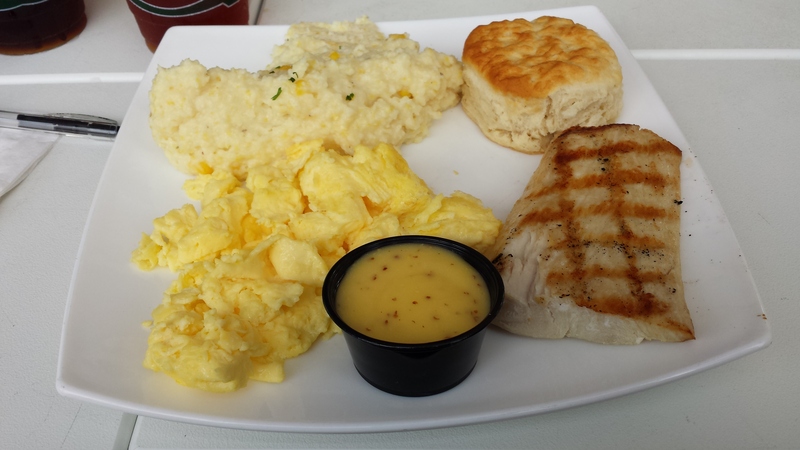 It had the same bland hollandaise, but the crabcake and fried green tomatoes made up for it. A hidden gem in Tuscaloosa. The interior is small, and the decor sparse, but that really doesnt matter. The food speaks for itself. A simple, good thing. Not in the mood for catfish? 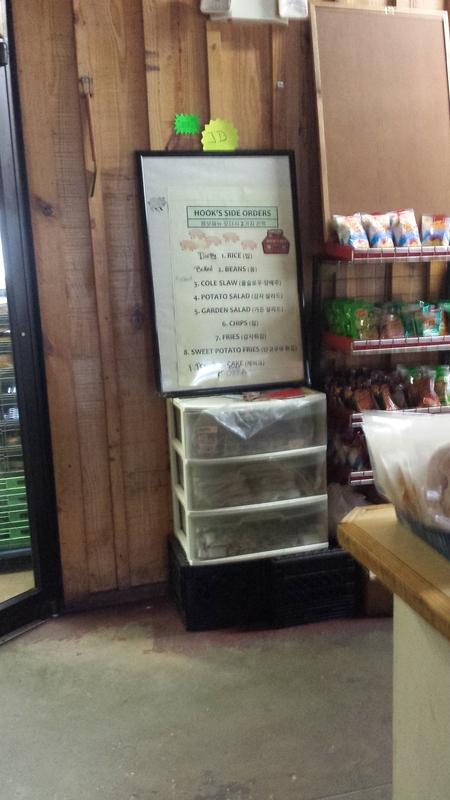 They also have trout, pork chops, and hot wings. A note on the image above. 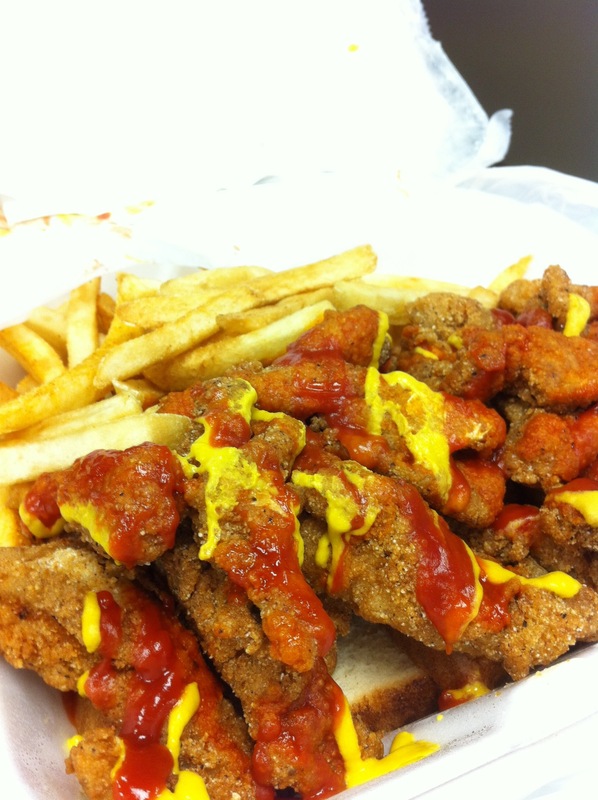 Years ago a dear friend of mine introduced me to eating catfish the “right way.” Ketchup, Mustard, and Louisiana Hot sauce. 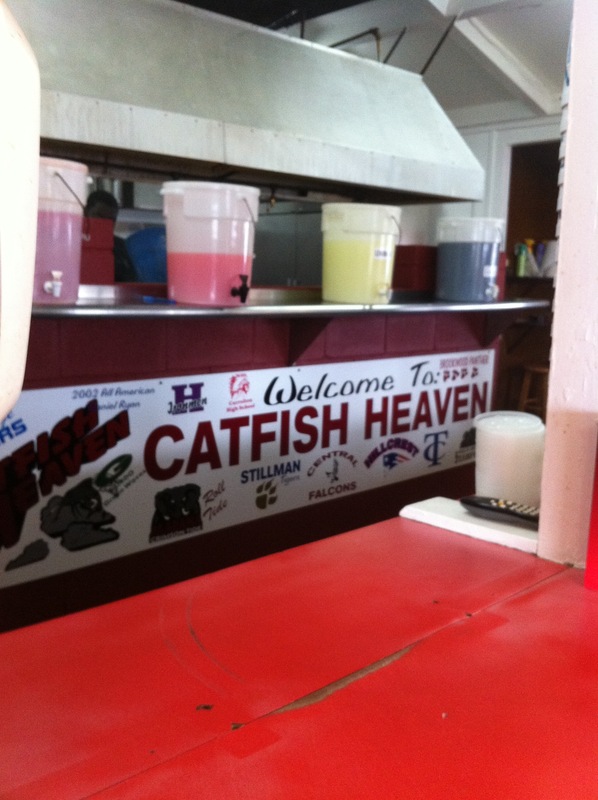 I’ve eaten catfish that way ever since. Sam’s house was a decent little barbecue joint in Carrollton, GA that some friends and I stopped by on the way back from a wedding. No photos of the food, because we ate on the road. The pictures I took on the inside were purely out of boredom. Things were moving kinda slow that day. My only thought was how decidedly un “Memphis-like” the barbecue was. No dry rub to be found. 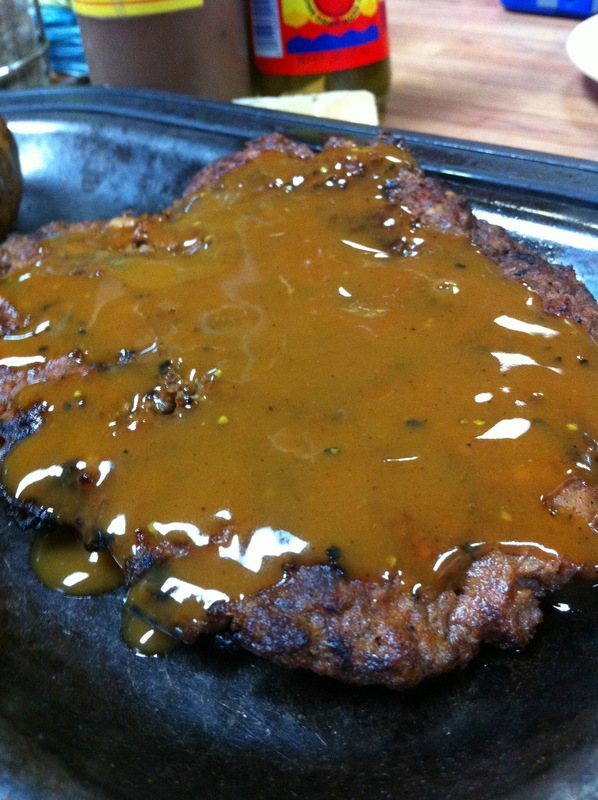 Plus, the sauce was on the redder side of KC sauces & full of black pepper. (This seems to be a growing trend in Georgia. I blame Williamson Brothers. Nonetheless, good stuff. I’d stop by again. One of my dining companions. Bored and hungry. They make burgers here stuffed with the “Cajun Trinity” and Conecuh Sausage. 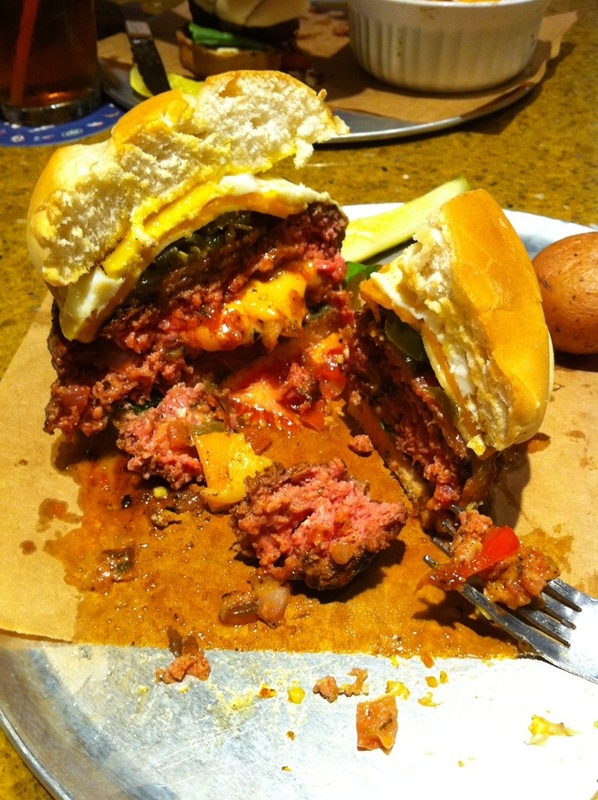 There’s a shot if my “Ultimate Stuffed Tony Burger.” Details below. That’s all I’m writing. Seriously. 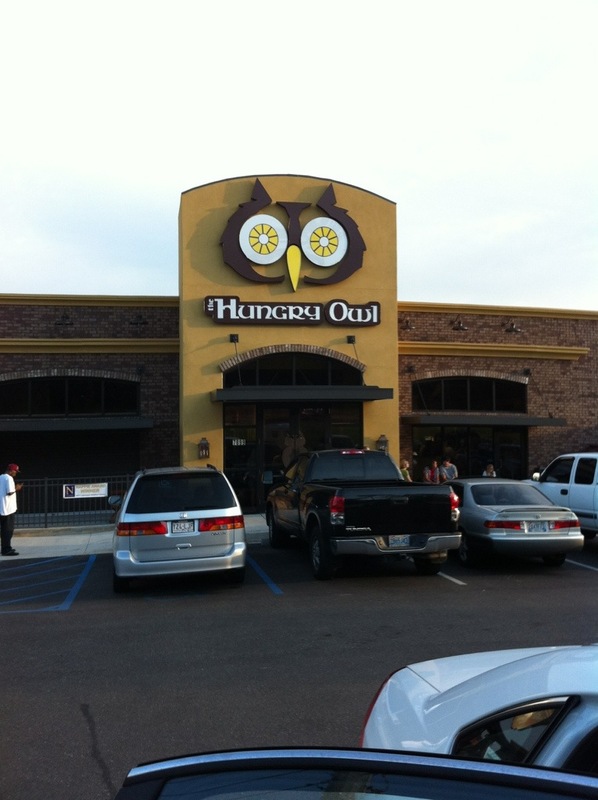 If that’s not enough to convince you to drive to Mobile Alabama right now, you have my pity. On a trip out of town to attend the wedding of a childhood friend, my traveling companions and I decided to make a pit stop during our 13hr trek and eat at one of Kansas City’s most famous landmarks. …Well, that’s not exactly the truth. The truth is about a month before we went I suggested that we stop off for Arthur Bryant’s because people keep raving about how amazing the place is, and we were driving smack dab through the city that it’s in. Ok, more truth. I didn’t suggest. I begged. I begged like a starving dog. Anyways, it paid off. 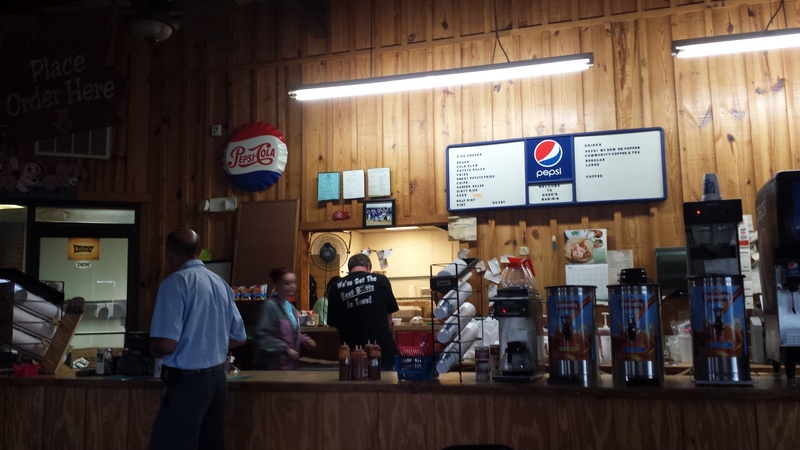 It’s everything that I wanted in an old-school BBQ joint. 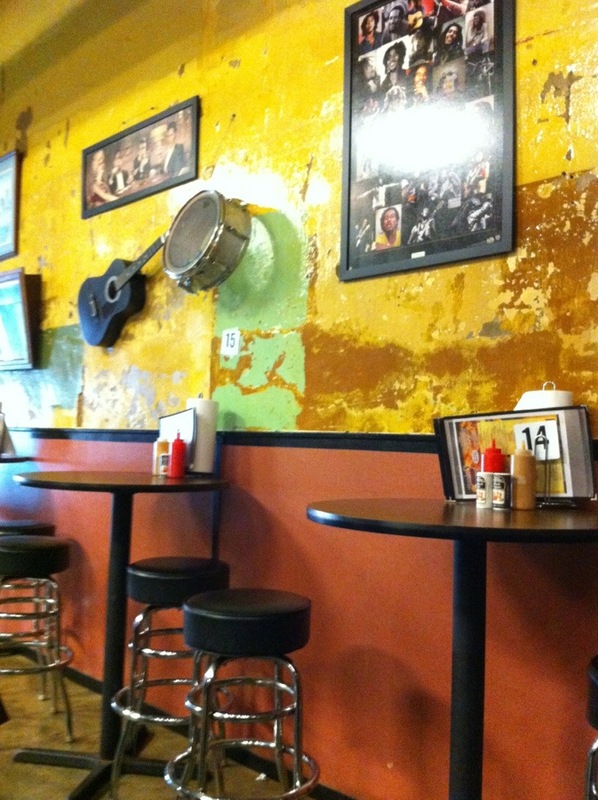 Old chairs, formica tables, meat, bread, beans, fries, pickles and sweet tea (who knew you could get sweet tea in Kansas?) We got there a little too early and subsequently the ribs weren’t ready yet, so we all settled for a combo of burnt ends, and one other item off of the menu. I went for the sausage, and was honestly a little perplexed when my lunch was passed around the corner to me. I was expecting link smoked sausage. What I got was what I initially thought was sliced pork shoulder. On closer inspection however, I discovered that I had actually gotten the sausage I ordered. 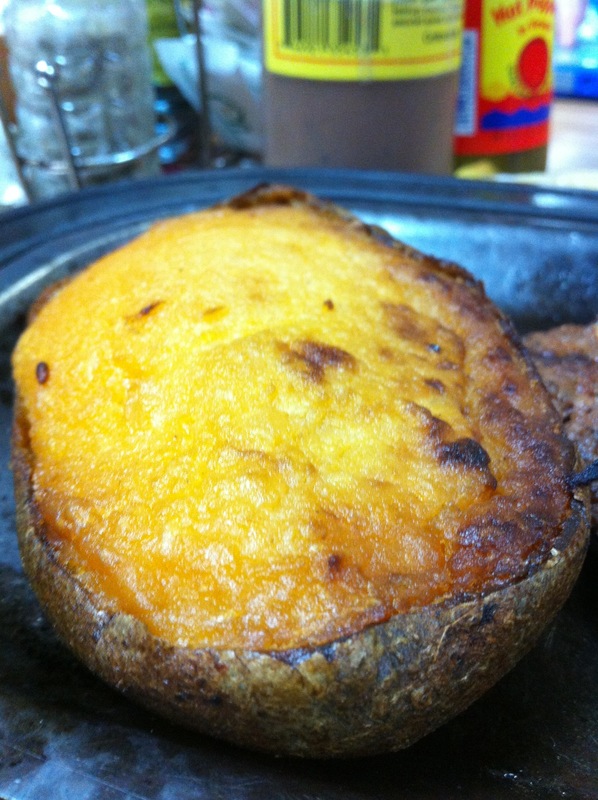 Thinly sliced off of a larger roll, the sausage is smoky, peppery, and has a mild tang. Think highly smoked salami. It was wonderful. As was the pulled pork and brisket that my companions had purchased. The star of the show, was of course, the burnt ends. Melt in your mouth, super smoky & slightly charred. Unfortunately the picture above of my burnt ends and sausage combo just doesn’t do it justice. My original “A” shot was just a bit too blurry to post, so I had to skip it for the “B” shot. 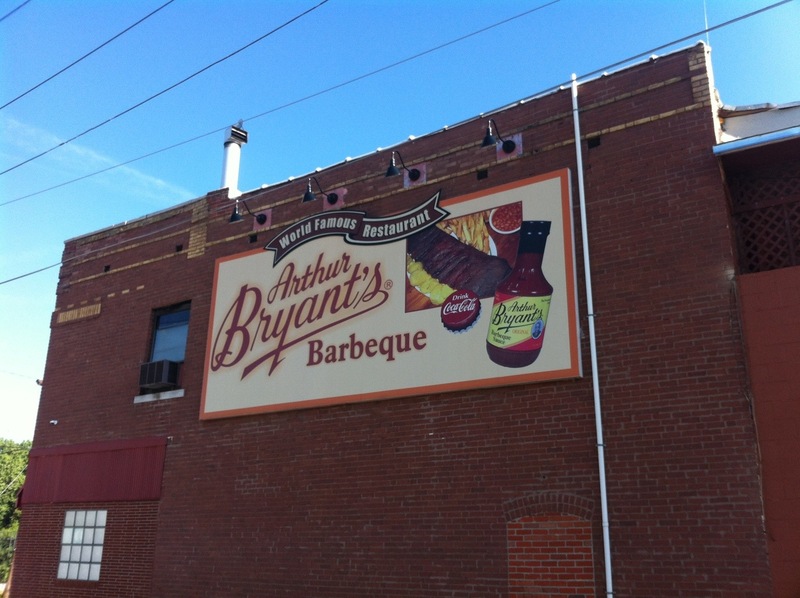 As far as sauces go, Arthur Bryant’s sauce is world famous. 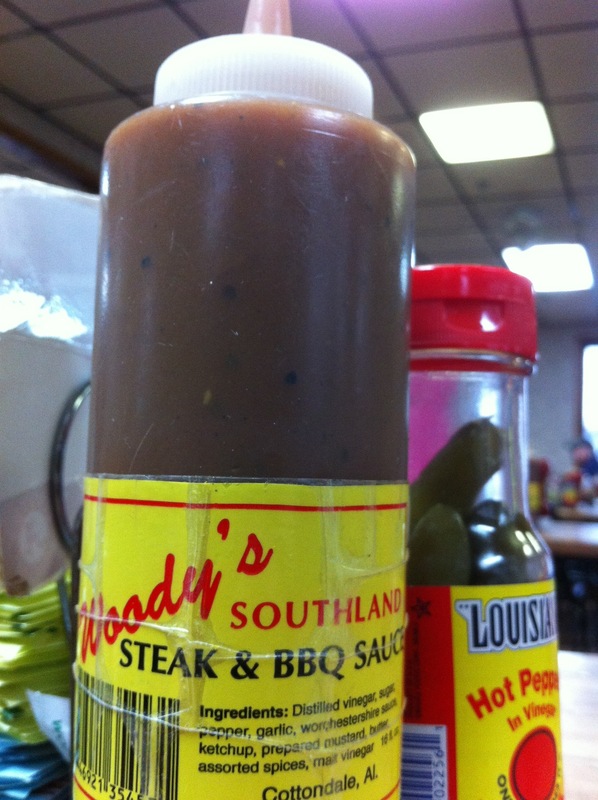 Partially for tasting like no other BBQ sauce I’ve ever had. It’s, in a word, gritty. Probably a blend of liquids and dry rub. Plus there’s quite a bit of sour tang to it. Personally, I think it does the trick when being slathered on for cooking. 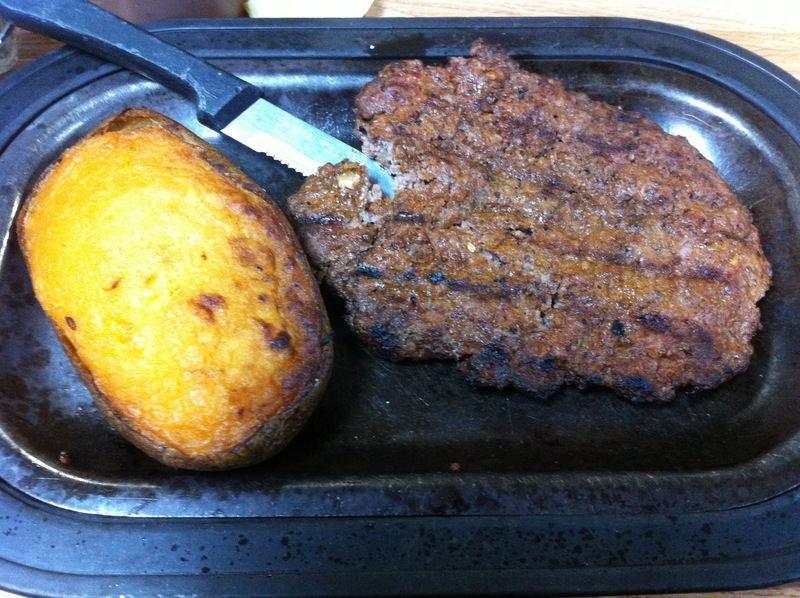 The spices help accent the smoky flavor of the meat. It’s just not my favorite for cold-pouring on meat. Both my companions and myself leaned toward the more “KC-like” AB Sweet Heat or AB Rich and Spicy sauce for pouring and dipping, but, to each his own. 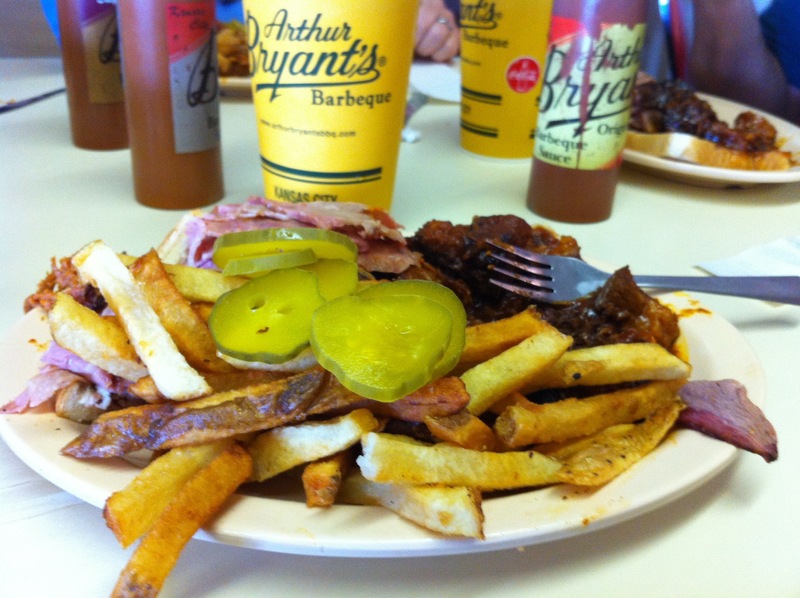 In summary, Arthur Bryant’s is a top-notch “worth the drive” BBQ destination. Get the burnt ends, they’re life-changing. 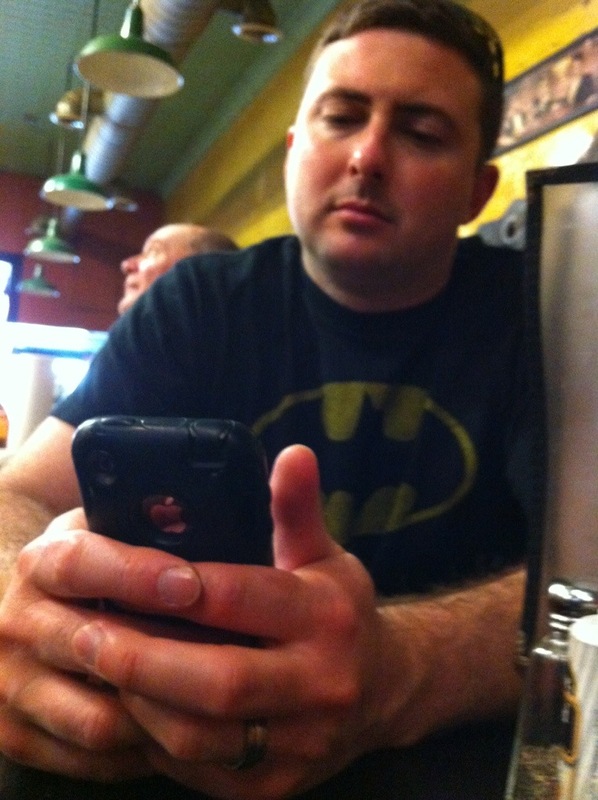 If I ever get to go back to KC, I’ll try to hit Oklahoma Joes or some of the other KC hotspots. “Pleasantly surprised” is generally an oft overused term. It’s one, in all honesty, that I rarely ever use. I’m someone who’s very adept at figuring out a lot about a person, or a place within a few minutes of contact. I’m very big on first impressions and for the most part, my initial observations pan out into what I expect them to. So, while on vacation with my wife’s family in Seaside, Florida, I was told that we were going to visit a “wonderful little café nearby.” The foodie in me was was excited about this thought, but I was a bit hesitant. Seaside Florida, and the Santa Rosa Beach area, are a mix of little coastal resort towns. Built in their own style, spacing, and architecture. 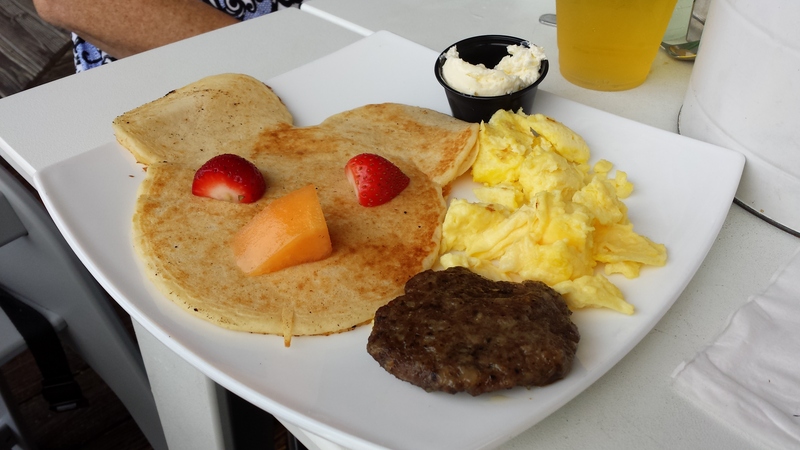 So, while I like the resort town feel, I’m usually quite hesitant of the food in resort areas because, in my experience, it tends to be a bit cookie-cutter. I’ve seen far too many “Catch of the day” places with frilly descriptions, and even frillier prices. 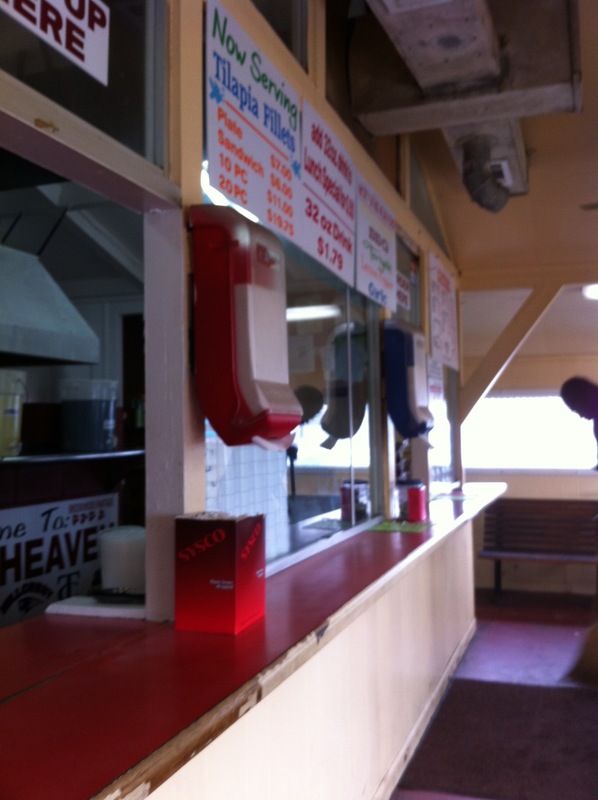 So, when I walked up the entrance way, and saw “Great Southern Café” hanging above the porch seating area, I went from being slightly reserved, to very reserved. 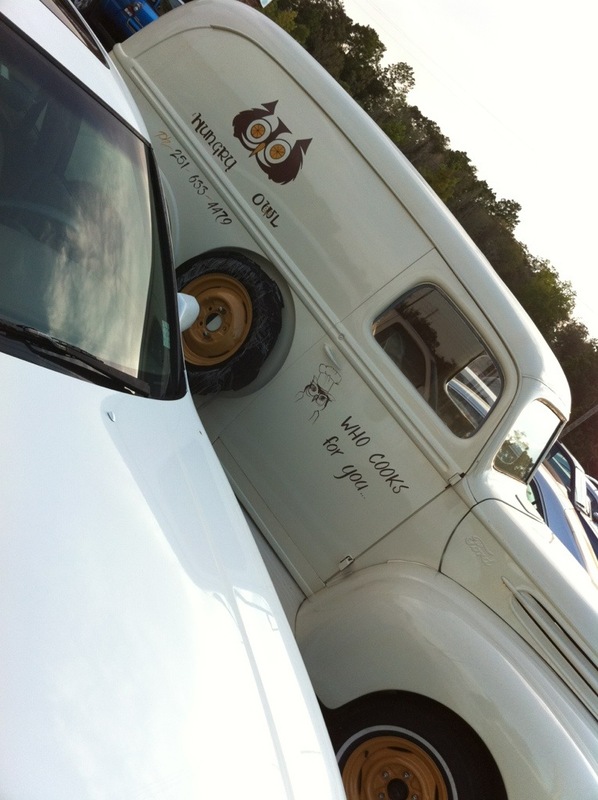 Oh man… I was SO. VERY. WRONG. The food was unbelievable. After being seated in the open air porch-like dining area, our waitress followed the de rigueur protocols of seating, menu, drink orders, etc. In which, as per usual, I don’t look at the menu until everyone at the table has ordered drinks, and the waitress/waiter returns to the back to start preparing them. I’ve always felt it’s necessary to pay attention to the waitstaff, and to be as polite as possible. They have tough jobs, and it would honestly bother me if I was working the table, and all the guests wanted to do was bury there nose in the menu and not even bat an eye in my direction. So, with our waitress walking back to the prep area, I take a look at the menu. I reach up to brush something off of my nose, and realize that it’s the floor. Due, in part, to the giant plate of crow that I’m now having to eat. The menu is incredible. It’s exactly what my mind thinks of when I describe nouvueau southern food. Grits á Ya Ya, Oysters Arcadia, Pecan Crusted Fish (of the day!) Bourbon Mashed Sweet Potatoes, Fried Green Tomatoes with Remoulade, Strawberry Cobia Salad, Blueberry BBQ Spareribs, Soul Rolls… wait, what? SOUL ROLLS? What the heck is a Soul Roll?!? Uhh… Yes, please! I”ll have two orders of those, one for now, and one for later! Chef’s Narrative: Just across the state line, in Elberta, Ala., lies a countryside culinary jewel called Sweet Home Farm, where a family of cheese makers produces some of the best-tasting organic cheese in the country. This Grade A dairy, with the help of a herd of Guernsey cows, produces and sells 16 varieties of all-natural raw-milk cheese. These wonderful cheeses are worth the trip and are great for this spicy fondue. Seriously folks. You can’t get any better than this. Great ingredients, wonderful food, community involvement, and recipe distribution. Very few places in the world do all of these things as well as they do at the Great Southern Café. This place is definitely worth the drive, the time and the money. If you have an opportunity to go, don’t skip out. You’ll be pleasantly surprised too.